The British Grand Prix is the Formula One Race at the Silverstone Circuit. Silverstone straddles the Northamptonshire and Buckinghamshire border, with the main circuit entry on the Buckinghamshire side. Silverstone is considered a home race for several Formula One Racing teams, but the hometown favorite to win was either one of the Vodafone McLaren drivers, Lewis Hamilton or Jenson Button. After plenty of twist, turns, overtaking, and pits, the Australian Mark Webber, with the Red Bull team emerged the winner. Xiro Xone will keep you On July 5th, Red Bull unveiled their Wings for Life Cars which will be driven by, Mark Webber and Sebastian Vettle. The charity is hoping to find a cure for Spinal Cord Injury. Fans around the world have shown their support by donating to the charity. Red Bull will match all donations raised during the British Grand Prix weekend, and 100% of the proceeds will go to, the Wings for Life charity. Watch Xiro Xone Live and listen to Xiro Xone Radio where you will find pre and post race highlights. 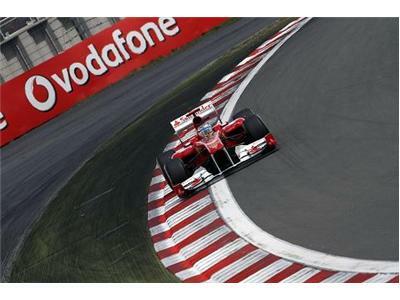 Leading up to the Grand Prix Race in Austin Texas, we will feature a Formula One Driver and their team each week starting July 15, 2012. Xiro Xone Sports will continue to bring news and highlights from IndyCar, DTM, Clio Cup, and more. Come out and show your support for the teams and their charities. Special thanks to, Stand 21, Empire Karting, and Gentle Giants Rescue.